Learn how to build your own beautiful responsive website with Urban Brand Creative's workshop. Register your interest now! Learn how to build your own beautiful responsive website with Urban Brand Creative's workshop. Register your interest below. Place are strictly limited to 6 people per workshop! 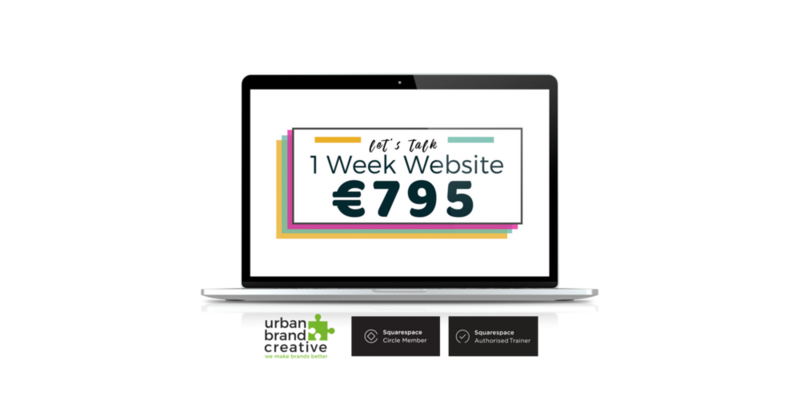 Urban Brand Creative are not just recognized Squarespace specialists, we are delighted to be a Squarespace Circle Member, part of a community of experts, and selected as the only Squarepace Authorised Trainer in Ireland, (one of 50 trainers chosen from industry leaders around the world!) #Honoured. Each Authorized Trainer has deep Squarespace experience and has been trained to help new users get up-to-speed quickly. Workshops are designed to help users acquire new skills. Every Authorized Trainer's goal is to empower their attendees to edit and maintain their own websites. Authorized Trainers receive exclusive product updates and behind-the-scenes news directly from Squarespace. This means their workshop attendees always learn how to get the most out of Squarespace.